"One murder. Two masterminds" is the tagline for Arrested Development Season 5B. 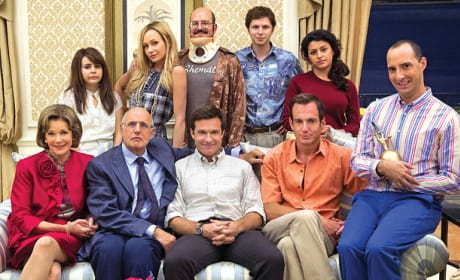 It looks like Arrested Development is coming back for Season 5. Is this chicken dance worthy news? David Cross poses here for an Arrested Development promotional photo. He, of course, plays Tobias. They're back! 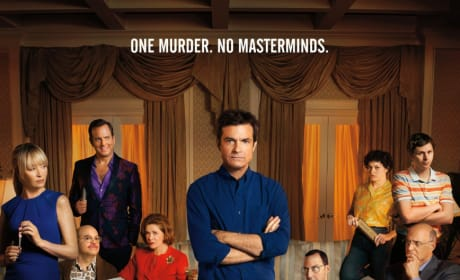 The Arrested Development cast poses here for a Netflix promo pic. 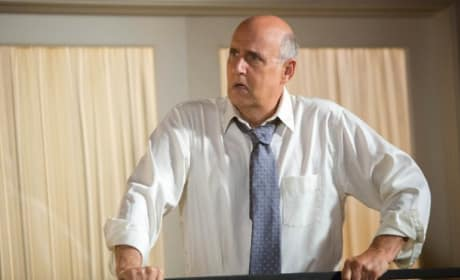 Jeffrey Tambor appears here on Arrested Development Season 4. He cracks us up. This is awkward. Michael is about to feel the wrath of his son. 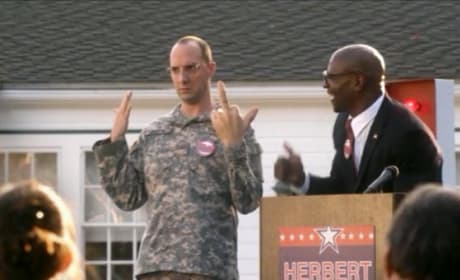 Buster helps Herbert Love campaign in this photo from Arrested Development Season 4. It's from the episode "Off the Hook." Who is George Michael? 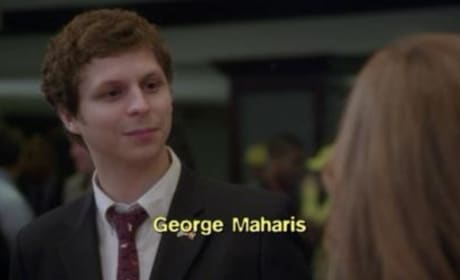 Say hello, Arrested Development Fanatics, to George Maharis. 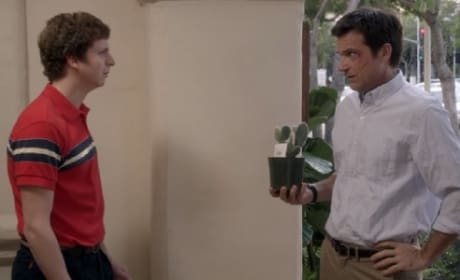 Maeby stops by George Michael's dorm room in this scene from Arrested Development. She has a plan. 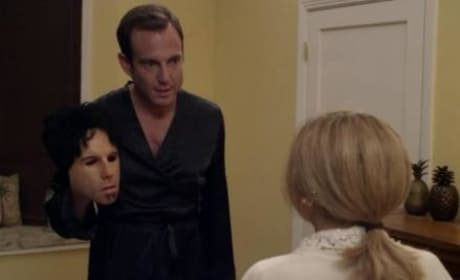 We're all about Gob on the Arrested Development episode "A New Attitude." He has a plan here with Ann. GOB, Tobias and Lindsay sit around in this scene from Arrested Development Season 4. What did you think of the batch of 15 episodes? Lucille has seen better days. 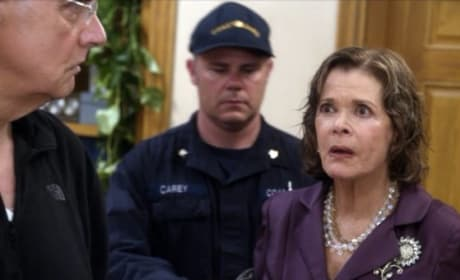 This is a still from the Arrested Development episode "Queen B." (holding stuffed animals) These are my awards, Mother. From Army. The seal is for marksmanship, and the gorilla is for sand racing. Now if you'll excuse me, they're putting me in something called Hero Squad.